Students engage various activities in the study room. The 20 full-time graduate faculty members in Physics are usually joined by several visiting faculty members to present a balanced program of teaching and research. The major research areas are elementary particle physics, free-electron laser physics (including applications in medical physics), condensed matter physics, particle astrophysics, with a combined annual funding of several million dollars. Of the 30 graduate students in physics, typically one-half come from outside of the U.S. The Department is part of the College of Natural Sciences. The Department is housed in Watanabe Hall, named in honor of former senior professor of physics, Kenichi Watanabe. It is an exceptionally well-designed four-story building with space for administration, faculty and student offices, research and teaching laboratories, and classrooms, as well as an undergraduate study area. The laboratories are centrally located with the offices for staff and graduate assistants on the outermost sides of the building. The building includes a large machine shop, an electronic service area, darkrooms and study and conference rooms, giving a combined usable area of 3,400 square meters. The Department also maintains additional space for research and teaching laboratories in the adjacent Physical Science Building. 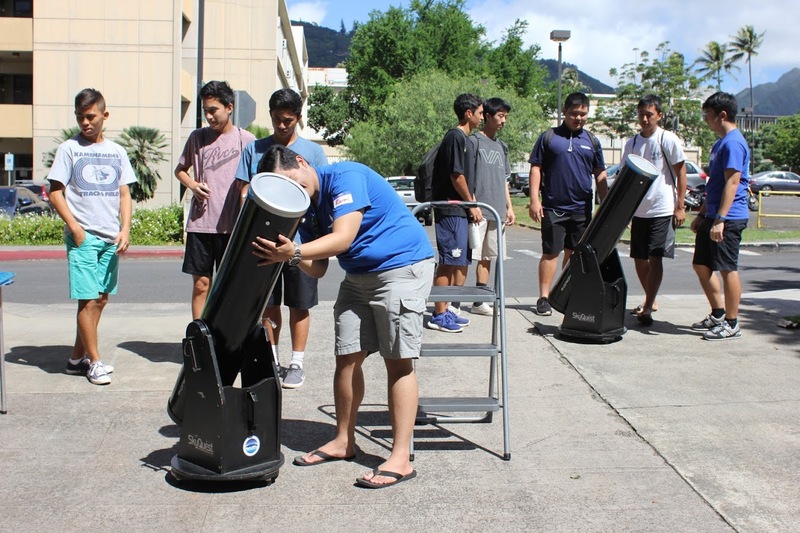 The Institute for Astronomy located one kilometer up the Mānoa Valley from Watanabe Hall, houses the university’s astronomy program, and shares responsibility for astronomy education with the Department. Graduate admissions requirements, and examinations are all distinct between physics and astronomy. Faculty generally teach within their respective disciplines, but cross-over does take place. There is a Chairperson of the Department of Physics and Astronomy, but also a Graduate Chair of Astronomy as well as a Director of the Institute for Astronomy. The Mānoa Campus of the University of Hawai’i is found on the island of Oahu, at the foot of Mānoa Valley (which is in Honolulu). This cosmopolitan community of over a million people is composed of a rich mixture of western and eastern races and cultures. The beauty of the setting, the unsurpassed climate, and the many and diverse recreational and cultural benefits available in Hawaii provide an ideal environment for advanced study and creative research. 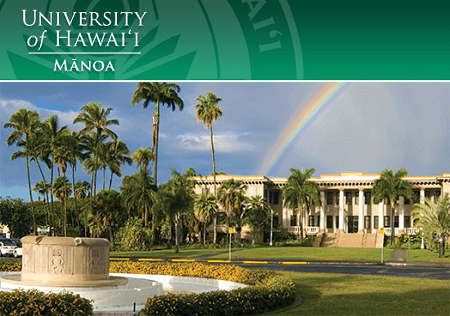 The University of Hawai’i is a public institution administered by the State of Hawai’i. 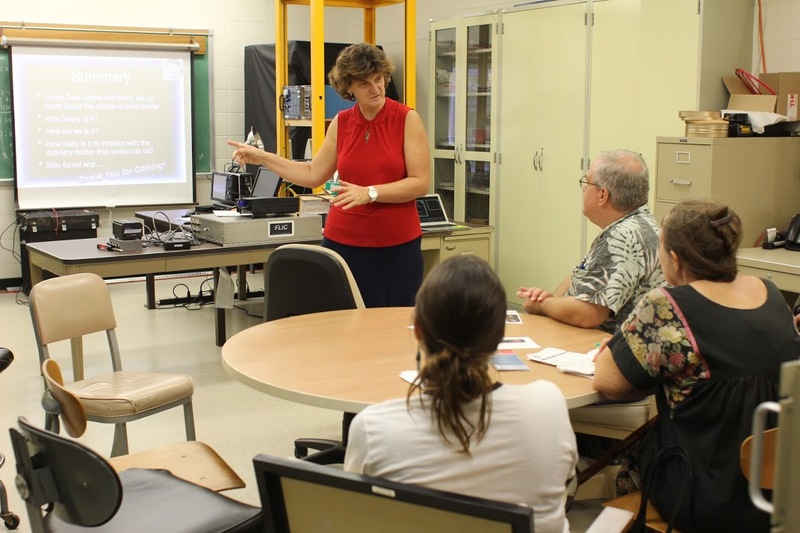 There are 2,100 faculty members at the Manoa Campus and 19,000 students, 5,200 of whom are enrolled at the graduate level. The University of Hawai’i maintains its main library in a modern building nearby. The library houses a total collection of two million volumes; it subscribes to 400 journals in physics and over 500 in chemistry. Watanabe Hall and the Physics Dept. Office (WAT 416) are open Monday to Friday 8 am - 4:30 pm. The Dept. Office is closed 12:00 pm - 1:00 pm for lunch. Use of this site implies consent with our Usage Policy. 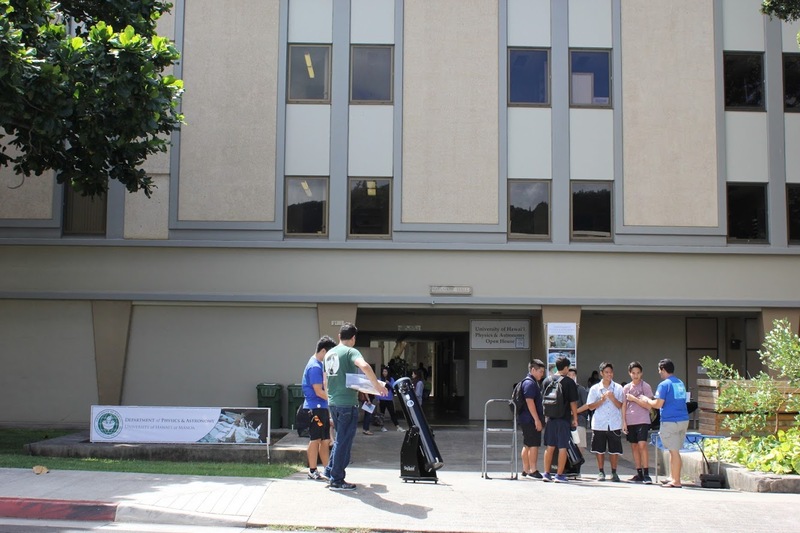 UH Mānoa Department of Physics and Astronomy is an Equal Opportunity/Affirmative Action Institution.